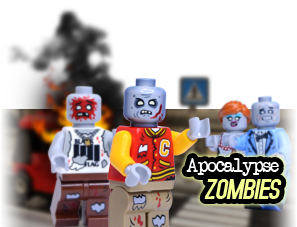 PRE ORDER NOW: Shipping from end April onwards! 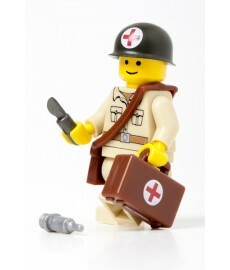 By buying this product you can collect up to 12 BrickCoins. 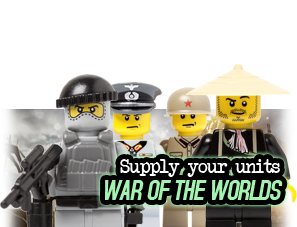 Your cart will total 12 BrickCoins that can be converted into a voucher of € 3,00. The M3A1 Half Track was the main troop transport vehicle for the US Army during World War II and the Korean War. 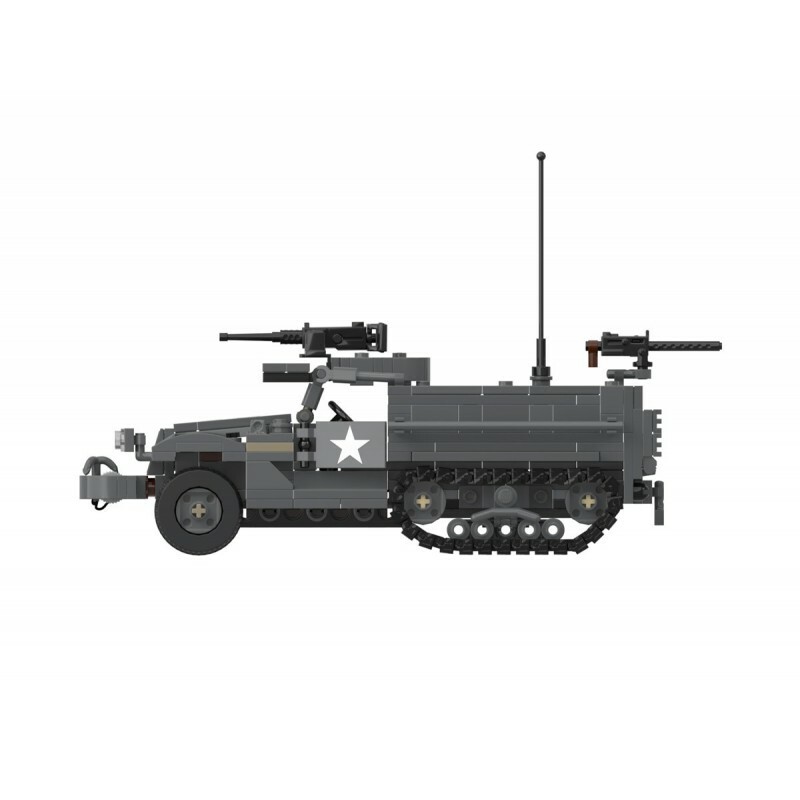 This vehicle was designed to carry an entire rifle squad and their equipment, often towing a trailer with fuel, water, or ammunition. The M3A1 was fitted with an armored “pulpit” mount for an M2HB heavy machine gun and had three pintle mounts for additional machine guns. 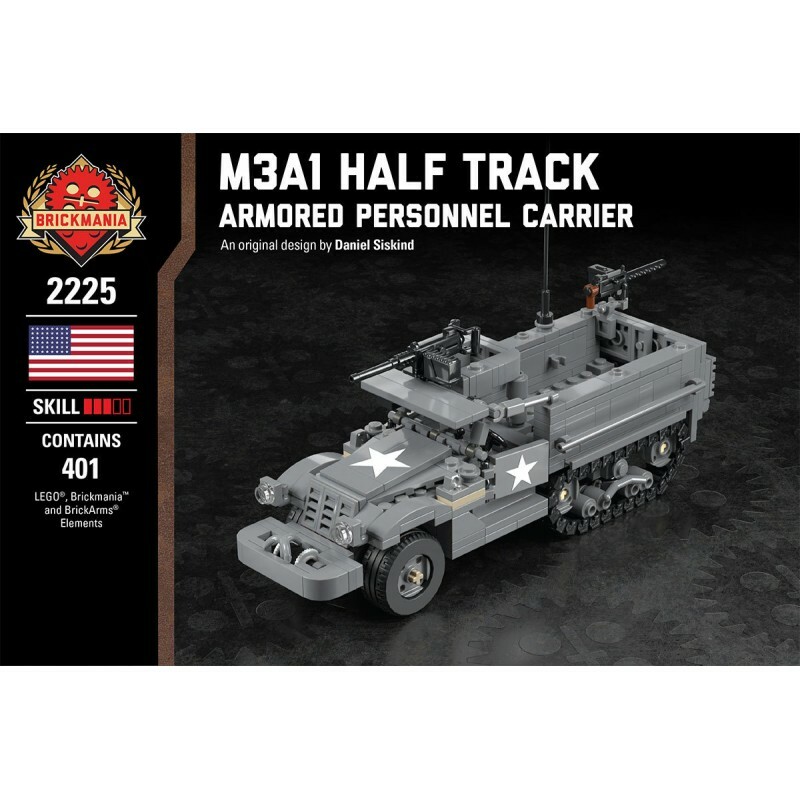 The M3A1 was the most advanced version of the M3 half track family of personnel carriers with 40,000 of all types manufactured during World War II. 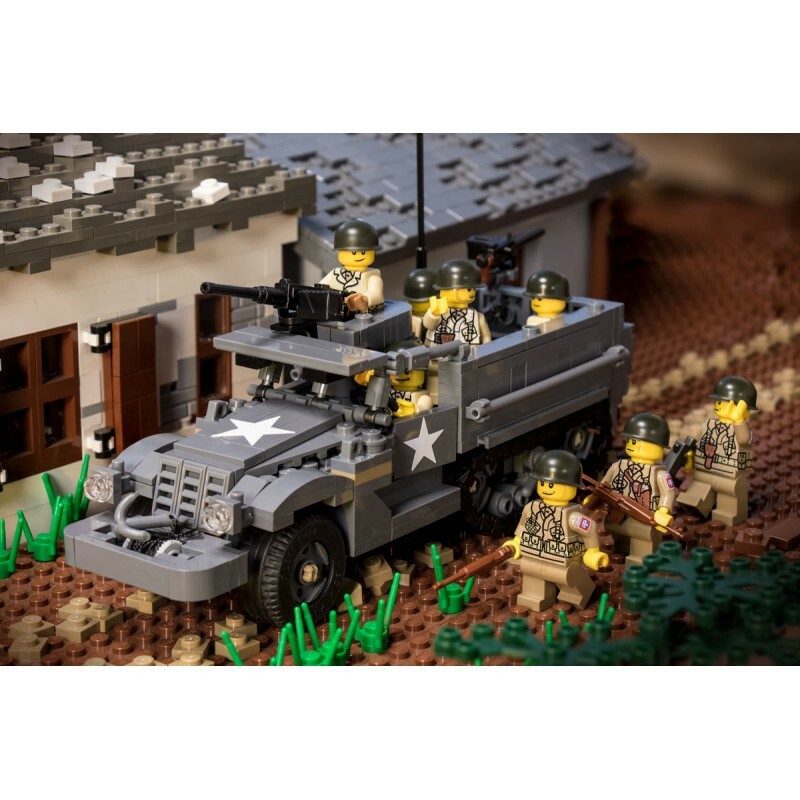 Brickmania’s M3A1 Half Track was modeled after the standardized half track armored personnel carrier used by the US Army during the later years of World War II and the Korean War. 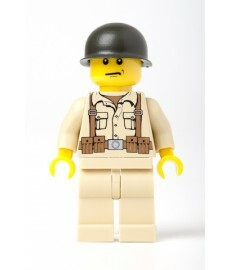 The model includes M2HB and M1919 machine guns from BrickArms as standard. 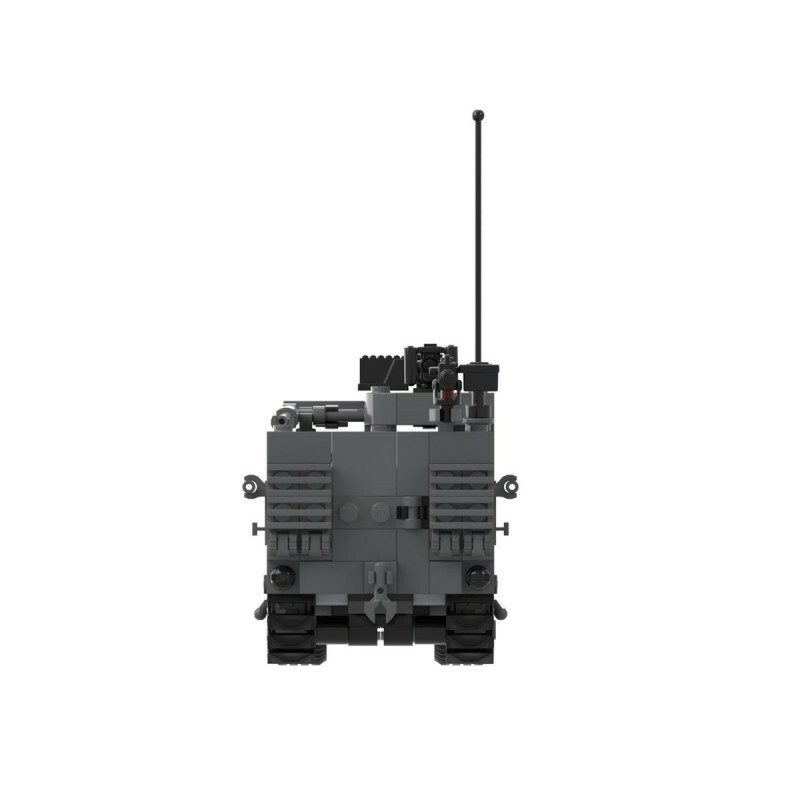 There are attachment points for up to two additional machine guns. 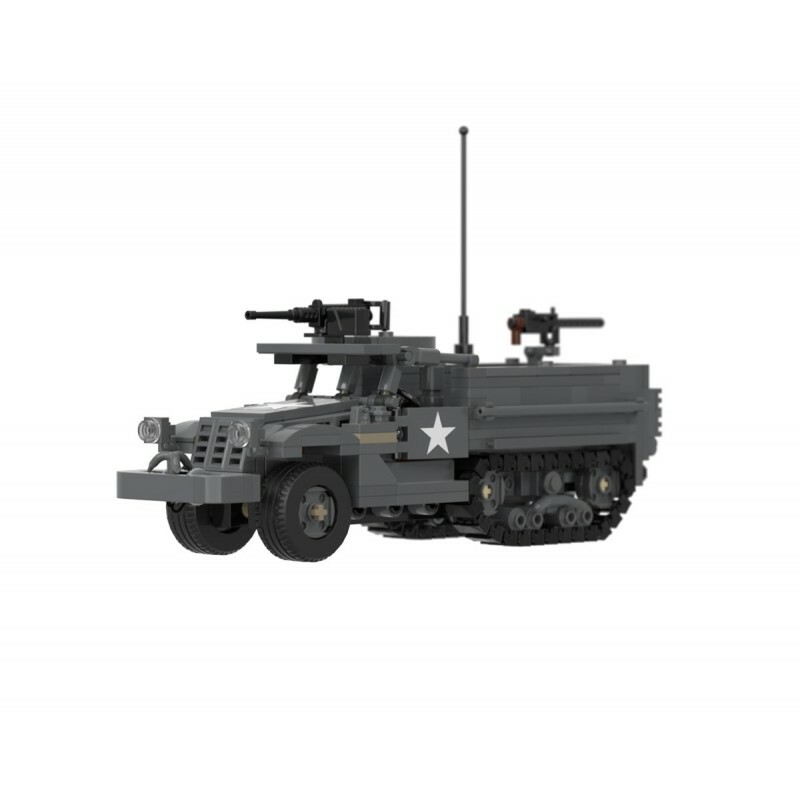 The model also includes detachable fuel cans, functional front winch, opening driver doors, fold down cargo shelves, and racks for up to 16 anti-tank mines (sold separately in the US Mine Pack). 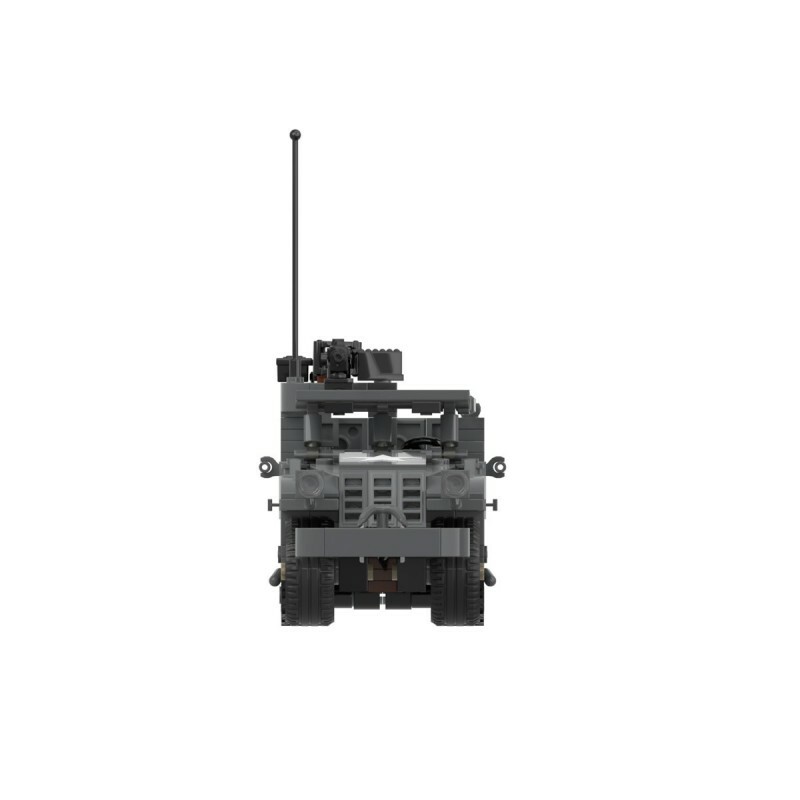 Includes a trailer hitch to tow a variety of trailers or towed weapons. This model is specially designed for future add-on packs.